Scope of expertise: Cenozoic rifts in Central and East Asia, North America, and East Africa. Origin of volcanic rocks erupted at the latest geodynamic stage of the evolving Earth. Published more than 500 works that include 20 monographs and 132 peer-reviewed papers. Rasskazov S.V., Brandt, S.B., Brandt, I.S., 2010. Radiogenic isotopes in geologic processes. Springer. 306 p.
Rasskazov S., Taniguchi H., 2006. Magmatic response to the Late Phanerozoic plate subduction beneath East Asia / CNEAS Monograph Series No. 21. Tohoku University. 140 p.
Endrihinsky, A.S., Osadchy, S.S., Agafonov, B.P., Kulchytsky, A.A., Rasskazov, S.V., 1983. Geology and seismicity of the BAM zone. Cenozoic sediments and geomorphology. Nauka Publisher, Novosibirsk, 170 p.
Sherman, S.I., Levi, K.G., Ruzhich, V.V., Sankov, V.A., Dneprovsky, Yu.,I., Rasskazov, S.V., 1984. Geology and seismicity of the BAM zone. Neotectonics / Nauka Publisher, Novosibirsk. 207 p.
Rasskazov, S.V., 1985. Basaltoids of Udokan. Nauka Publisher, Novosibirsk, 142 p.
Florensov, N.A., Ivanovsky L.I., Ufimtsev, G.F., Rasskazov, S.V., et al., 1987. Processes of formation of relief in Siberia. Nauka Publisher, Novosibirsk, 185 p.
Dobretsov, N.L., Belichenko, V.G., Boos R.G., Butov, Yu.I., Gordienko, I.V., Zhmodik, S.M., Ignatovich, V.I., Konstantinov, K.K., Kotkin, V.V., Kulikov, Yu.I., Lyuchkin, V.A., Mityukhin, E.N., Nemchinov, V.G., Osokin, P.V., Postnikov, A.A., Rasskazov, S.V., Roschektaev, P.A., Sizykh, N.V., Sklyarov, E.V., Skopintsev, V.G., Shulyak, G.B., 1989. Geology and ore mineralization in Eastern Sayans. Nauka, Novosibirsk, 127 p.
Rasskazov, S.V., 1993. Magmatism of the Baikal Rift System. Nauka, Novosibirsk, 288 p.
Rasskazov, S.V., Logatchev, N.A., Brandt, I.S., Brandt, S.B., Ivanov, A.V., 2000. Geochronology and Geodynamics in the Late Cenozoic: South Siberia – South and East Asia. Nauka, Novosibirsk. 288 p.
Rasskazov, S.V., Brandt, S.B., Brandt, I.S., Ivanov, A.V., Yasnygina, T.A., Demonterova, E.I., Ilyasova, A.M., 2005. Radiogenic isotope geology in problems and examples. Novosibirsk: Academic Publishing House "Geo", 268 p.
Tveritinov, Yu.I., Tveritinova, T.Yu, Brandt, S.B., Rasskazov, S.V., Brandt, I.S., 2006. Prospecting gold mineralization in the south of Eastern Siberia and Far East: the geological and isotopic-geochemical aspects. Institute of the Earth's Crust SB RAS, Irkutsk, 224 p.
Rasskazov, S.V., Demonterova, E.I., Ivanov, A.V., Brandt, I.S., Brandt, S.B., 2007. Evolution of Late Cenozoic magmatism of Eastern Tuva: expression of the Tuva-Mongolian massif boundary. Irkutsk Institute of Earth's Crust, 161 p.
Rasskazov, S.V., Lyamina, N.A., Chernyaeva G.P., Luzina I.V., Rudnev A.F., Rezanov I.N., 2007. Cenozoic stratigraphy of the Vitim Plateau: Phenomenon of long rifting in the south of East Siberia. Novosibirsk Academic Publishing House "GEO", 193 p.
Rasskazov, S.V., Chuvashova, I.S., 2012. Radiogenic isotope methods for chronology of geological processes: a textbook. Irkutsk: Irkutsk State University Publishers, 300 p.
Rasskazov, S.V., Chuvashova, I.S., Yasnygina, T.A., Fefelov, N.N., Saranina, E.V., 2012. Potassic and potassic–sodic volcanic series in the Cenozoic of Asia. Novosibirsk Academic Publishing House "GEO", 351 p.
Rasskazov, S.V., Chuvashova, I.S., 2013. The latest mantle geodynamics of Central Asia. Irkutsk: Irkutsk State University Publishers, 308 p.
Chuvashova, I.S., Rasskazov, S.V., 2014. Sources of magmatism in the mantle of the evolving Earth. Irkutsk: Irkutsk State University Publishers, 291 p.
Rasskazov, S.V., 1994. Magmatism related to the East Siberia rift system and the geodynamics. Bull. Centres Rech. Explor.–Prod. Elf. Aquitaine. V. 18 (2), 437–452. Brandt, S.B., Rasskazov, S.V., Brandt, I.S., Ivanov, A.V., Kunk, M.J., 1997. The inverse problem of argon diffusion from minerals: determination of kinetic parameters from stepwise-heating experiments. Isotopes Environ. Health Stud. V. 33 (4), 399–409. Ivanov, A.V., Rasskazov, S.V., Tchebykin E.P., Markova M.E., Saranina E.V., 2000. Y/Ho in the Late Cenozoic basalts from the eastern Tuva: an ICP–MS study. Geostandards Newsletter: The Journal of Geostandards and Geoanalysis. V. 24, (2), 197–204. Brandt, I.S., Rasskazov, S.V., Brandt, S.B., Ivanov, A.V., 2002. Thermal-field propagation in an exocontact zone of a magmatic body and its impact on radiogenic isotope concentrations in minerals. Isotopes Environ. Health Stud. V. 38, (1), 47–58. Brandt, S.B., Brandt, I.S., Rasskazov, S.V., Ivanov, A.V., 2003. Formal considerations on argon–argon diagrams in 40Ar/39Ar geochronometry. Wissenschaftliche Mitteilungen Institut für Geologie. B. 24, 19–26. Ivanov, A.V., Boven A.A., Brandt, S.B., Brandt, I.S., Rasskazov, S.V., 2003. Achivements and limitations of the K–Ar and 40Ar/39Ar methods: What’s in it for dating the Quaternary sedimentary deposites. Berliner palaobilogische abhandlungen. B. 4, 65–75. Rasskazov, S.V., Luhr J.F., Bowring S.A., Ivanov, A.V., Brandt, I.S., Brandt, S.B., Demonterova E.I., Boven A.A., Kunk M., Housh T. & Dungan M.A., 2003. Late Cenozoic volcanism in the Baikal Rift system: evidence for formation of the Baikal and Khubsugul basins due to thermal impacts on the lithosphere and collision-derived tectonic stress. Berliner palaobilogische abhandlungen. B. 4, 33–48. Litasov K., Yurimoto H., Litasov Y., Rasskazov, S., Malkovets V., Taniguchi, H., 2004. Trace element study of clinopyroxenes from garnet and spinel peridotite xenoliths of the Burkal River (Hkentey dome, South Transbaikalia, Russia). Northeast Asian Studies. V. 9, 159–178. Rasskazov, S.V., Bekhtur B., Ivanov, A.V., Brandt, I.S., Brandt, S.B., 2004. Holocene volcanism in the Orkhon-Taryat area, Mongolia within the context of the Cenozoic volcanism evolution in Central and East Asia. Geophysics & Astronomy, V. 2, 71–79. Rasskazov, S., Taniguchi H., Goto A., Litasov K., 2004. Magmatic expression of plate subduction beneath East Asia in the Mesozoic through Cenozoic. Northeast Asian Studies. V. 9, 179–219. Ivanov, A.V., Rasskazov, S.V., Feoktistov G.D., He H., Boven A., 2005. 40Ar/39Ar dating of Usol’skii sill in the southeastern Siberian Traps Large Igneous Province: evidence for long-lived magmatism. Terra Nova. V. 17, 203–208. Brandt, I.S., Rasskazov, S.V., Ivanov, A.V., Reznitskiy L.Z., Brandt, S.B., 2006. Distribution of radiogenic argon within a mineral grain: implications for geochronology. Isotopes Environ. Health Stud. V. 42, (2), 189–201. Barry T.L., Ivanov, A.V., Rasskazov, S.V., Demonterova E.I., Dunai T.J., Davies G.R., Harrison D., 2007. Helium isotopes provode no evidence for deep mantle involvement in widespread Cenozoic volcanism across Central Asia. Lithos. V. 95, 415–424. Ivanov, A.V., Demonterova, E.I., Rasskazov, S.V., Yasnygina, T.A., 2008. Low-Ti melts from southeastern Siberian Traps Large Igneous Province: Evidence for a water-rich mantle source? Journal of Earth System Science. V. 117, (1), 1–21. Rasskazov. S.V., 2011. The book by G.R. Foulger: From melting anomalies to hypotheses on plates or plumes? Geodynamics & Tectonophysics. V. 2, (6), 418–424. Safonova, I., Seltmann, R., Sun, M., Xiao, W., Rasskazov, S., Kislov, E., Kim, S-W., Glen, D., 2014. Continental Construction in Central Asia (IGCP#592): 2013 Meetings and Training Activities. Episodes. V. 37, (2), 115–121. Kiselev, A.I., Rasskazov, S.V., 1979. Products crystallization depth in the explosive volcanic material Aku (Northern Transbaikalia). Dokl. Akad. Nauk SSSR, V. 274, (2), 444–447 (in Russian). Rasskazov, S.V., Kiselev, A.I., 1980. Megacryst associations from the Cenozoic volcanic plateau of Udokan Range. Dokl. Akad. Nauk SSSR, V. 252, (1), 192–195 (in Russian). Devirts, A.L., Rasskazov, S.V., Polyakov, A.I., Dobkina, E.I., 1981. Radiocarbon age of young volcanoes in the Udokan Range (Northeast Baikal region). Geochemistry International, (8), 1250–1253. Rasskazov, S.V., 1982. Kaersutite as indicators of the depth formation of trachytes from the Udokan Range (Northern Transbaikalia). Izv. Akad. Nauk SSSR, ser. geol. (10), 29–37 (in Russian)..
Rasskazov, S.V., 1983. Amphiboles in deep xenoliths from basalts Baikal Rift Zone. Dokl. Akad. Nauk SSSR, V. 267, (3), 703–706 (in Russian). Rasskazov, S.V., Batyrmurzaev, A.S. Cenozoic basalts of the Vitim Plateau and determination of their age. Geologiya i Geofizika. 1985. V. 26 (5), 20–28 (in Russian). Rasskazov, S.V., 1986. On geodynamic setting of late Cenozoic volcanism in Eastern Sayans. Vulkanologiya i Seismologiya. (3), 97–100 (in Russian). Rasskazov, S.V., 1986. Spatial variability of the composition of the Late Cenozoic volcanic rocks in Eastern Sayans. Dokl. Akad. Nauk SSSR, V. 291, (4), 950–952 (in Russian). Rasskazov, S.V., 1987. Deep-seated inclusion from Late Cenozoic melanephelinites in the south of Central Transbaikalia. Geologiya i Geofizika. (7), 50–60 (in Russian). Rasskazov, S.V., Genshaft, Yu.S., 1987. Spinel xenoliths from Late Cenozoic basalts of Transbaikalia. Mineralogical Journal. V. 9, (6), 22–30. Rasskazov, S.V., Sizykh, Yu.I., 1988. On the high-K glassy apart in Late shelochnyh lavas Eastern Sayan. Dokl. Akad. Nauk SSSR. V. 302, (3), 683–687 (in Russian). Rasskazov, S.V., Matsera, A.V., Kurgankov, P.P., 1988. Major elements in late Cenozoic basalts from Tuva. Soviet geology. (2), 84–89. Rasskazov, S.V., Bogdanov, G.V., Medvedeva, T.I., Elizaryeva, T.I., Tatarinov, A.V., 1989. Deep-seated xenoliths from the Bartoy volcanics (West Transbaikalia). Volkanologiya i Seismologiya. (3), 38–48 (in Russian). Rasskazov, S.V., Bogdanov, G.V., Medvedeva, T.I., 1989. Skarn-like clinopyroxenite xenoliths from basalts of the Tunka basin in the Baikal Rift Zone. Geologiya i Geofizika. (7), 54–61. Rasskazov, S.V., Bogdanov, G.V., Medvedeva, T.I., 1989. On mineralogy of deep-seated amphibole-bearing inclusions from basalts of the Tunka basin in the Baikal Rift Zone. Notes of the All-Soviet-Union Mineralogical Society. V. 4 (118), 56–64. Rasskazov, S.V., Maslovskaya, M.N., Batyrmurzaev, A.S., Matsera, A.V., Zelenkov, P.Ya., Avdeev, V.A., Omarov, M.R., Gargatsev, I.O., Magomedov, Sh.A., 1989. Composition, strontium isotopes, and potassium-argon dating of latest basalts from Tuva. Geologiya i Geopfizika. (2), 77–85 (in Russian). Matsera, A.V., Rasskazov, S.V., 1990. Paleogeomorphological conditions of volcanism in the area between Hamsara and Bii-Khem (Eastern Sayans). Izvestiya of Universities. Geology and Exploration. (8), 23–30. Rasskazov, S.V., 1990. The basalts and the structural development of the western end of the Baikal Rift Zone. Geochemistry International, (4), 614–619. Rasskazov, S.V., 1990. Pliocene-Quaternary thrust in the south of the Oka plateau (Eastern Sayans). Geologiya i Geofizika. (5), 134–138 (in Russian).
? ?Rasskazov, S.V., 1990. Spatial-temporal evolution of Mesozoic and Cenozoic basaltic volcanism in the south of Siberia. Dokl. Akad. Nauk SSSR. V. 311, (5), 1201–1204 (in Russian). Rasskazov, S.V., Batyrmurzaev, A.S., Magomedov, Sh.A., 1990. Cyclic Cenozoic volcanism in South-West Sis-Baikal. Geologiya i Geofizika. (6), 64–71 (in Russian). Rasskazov, S.V., Batyrmurzaev, A.S., Magomedov, Sh.A., 1990. K–Ar dating of Cenozoic basalts from Oka plateau (Eastern Sayans). Geologiya i Geofizika. (3), 100–105 (in Russian). Rasskazov, S.V., Batyrmurzaev, A.S., Magomedov, Sh.A., 1990. Potassium–argon dating of basalts from the Tunka Valley. Soviet geology. (9), 62–67. Rasskazov, S.V., Bogdanov, G.V., Medvedeva, T.I., 1990. Different-depth clinopyroxene megacrysts from Late Pliocene basanites of Eastern Sayans. Vulkanologiya i Seismologiya. (1), 45–52 (in Russian). Rasskazov, S.V. Hot spot volcanism and structure of the western part of the Baikal rift system. Geologiya i Geofizika. 1991. V. 32 (9), 72–81 (in Russian). Rasskazov, S.V., Batyrmurzaev, A.S., Magomedov, Sh.A., 1991. K–Ar dating of the Cenozoic basalts from the East Sayan suture zone of the Siberian platform. Soviet geology. (3), 82–85. Rasskazov, S.V., Batyrmurzaev, A.S., Magomedov, Sh.A., 1992. Spatially-combined Mesozoic and Cenozoic volcanism in the Dzhida River basin (Western Transbaikalia). Geologiya i Geofizika. (4), 30–37 (in Russian). Rasskazov, S.V., 1994. Comparison of volcanism and hot-spot structures of Yellowstone and Eastern Sayans. Geologiya i Geofizika. V. 35 (10), 67–75 (in Russian). Rasskazov, S.V., Ivanov, A.V., Bogdanov, G.P., Medvedeva, T.I., 1994. The composition of orthopyroxene and classification of the deep-seated inclusions from lavas of the Upper Oka and Tunka segments of the Baikal Rift System. Dokl. RAS. V. 338, (5), 649–654 (in Russian). Chestnova, E.P., Rasskazov, S.V., 1994. Amphibole in the microstructure of mantle xenoliths from slag of the Quaternary volcano Bolshoy (Western Transbaikalia). Geologiya i Geofizika. (11), 58–62 (in Russian). Rasskazov, S.V., 1996. Volcanism and structure of the north-eastern part of the Baikal Rift System. Geologiya i Geofizika. V. 37, (4), 60–70 (in Russian). Rasskazov, S.V., Ivanov, A.V., 1996. Episodes and geodynamic environment of Quaternary volcanism in the Baikal Rift System and the southeastern margin of the Eurasian lithospheric plate. Doklady Earth Sciences. V. 349, (6),959-962. Rasskazov, S.V., Kunk, M.J., Luhr J.F., Bowring, S.A., Brandt, I.S., Brandt, S.B., Ivanov, A.V., 1996. Episodes of eruptions and variations of compositions of Quaternary lavas from the Baikal Rift System: Ar–Ar and K–Ar dating of volcanism in Dzhida basin. Geologiya i Geofizika. V. 37, (6), 3–15 (in Russian). Rasskazov, S.V., Boven, A., Andre, L., Liegeois, J.P., Ivanov, A.V., Punzalan, L., 1997. Evolution of magmatism in the Northeastern Baikal rift system. Petrology. V. 5 (2) P. 101–120. Rasskazov, S.V., Ivanov, A.V., Brandt, I.S., Brandt, S.B., 1998. Migration of the Late Cenozoic volcanism of the Udokan field in the Baikal and Olekma-Stanovoi systems. Doklady Earth Sciences. V. 360, (4),503-506. Rasskazov, S.V., Logatchev, N.A., Ivanov, A.V., 1998. Correlation of Late Cenozoic tectonic and magmatic events of the Baikal Rift System with the events in the south–east of the Eurasian Plate. Geotectonics. 1998. (4), 25–40. Ivanov, A.V., Rasskazov, S.V., Bowen, A., Andre, L., Maslovskaya, M.N., Temu, E.B., 1998. Late Cenozoic alkali-ultrabasic and alkali-basic magmatism in the Rungwe Province (Tanzania). Petrology. V. 6, (3), 228–250. Logatchev, N.A., Rasskazov, S.V., Ivanov, A.V., Misharina, V.A., Chernyaeva, G.P., Dismembering Upper Cenozoic volcano-sedimentary sequence of the southeastern part of Eastern Sayans. Stratigraphy. Geological Correlation. V. 6, (4), 81–91. Litasov, K.D., Rasskazov, S.V., Ivanov, A.V., 1999. Depleted and enriched spinel peridotites in xenoliths from Late Cenozoic basanite, Lake Kuas area, Udokan Range, Eastern Siberia. Doklady Earth Sciences. V. 369, (8),1158-1160. Rasskazov, S.V., 1999. A Middle Holocene stress change in the Udokan range volcanic zone, Eastern Siberia. Vulkanologiya i Seismologiya. V. 21, 261–267 (in Russian). Ivanov, A.V., Rasskazov, S.V., Brandt, S.B., Brandt, I.S., Punzalan, L.E., Boven, A.A., 2000. Chronology of Late Paleozoic and Mesozoic events in the Udokan Range: 40Ar/39Ar dating of primary and imposed intrusive rock minerals. Geologiya i Geofizika, 41(5), 686–695 (in Russian). Rasskazov, S.V., Bowen, A., Ivanov, A.V., Semenova, V.G., 2000. Mid-Quaternary volcanic impulse in the Olekma-Stanovoi mobile system: 40Ar/39Ar dating of volcanic rocks from Tokinsky Stanovik. Tikhookeanskaya Geologiya. (4), 19–28. Rasskazov, S.V., Ivanov, A.V., Demonterova, E.I., 2000. Deep-seated inclusions from Zun-Murin basanites (Tunka Rift Valley, Predbaikalia). Geologiya i Geofizika. V. 40, (1), 100–110 (in Russian). Rasskazov, S.V., Logatchev, N.A., Brandt, I.S., Brandt, S.B., Ivanov, A.V., Demonterova, E.I. Smagunova, M.A., 2000. Impulse migration of the Quaternary volcanism in the Eastearn Tuva field. Doklady Earth Sciences. V. 373A, (6), 953–956. Rasskazov, S.V., Logatchev, N.A., Ivanov, A.V., Boven, A.A., Maslovskaya, M.N., Saranina, E.V., Brandt, I.S., Brandt, S.B., 2001. Magmatic episode of 19–17 Ma B.P. in the West rift of Eastern Africa and its geodynamic significance. Doklady Earth Sciences. V. 381, (8), 921-924. Rasskazov, S.V., Logatchev, N.A., Ivanov, A.V., Misharina, V.A., Chernyaeva, G.P., Brandt, I.S., Brandt, S.B., Skoblo, V.M., Lyamina, N.A. Palynological and diatom analyses of sediments from the Late Cenozoic Paleo-Amalat valley (Western Transbaikalia). Russian Geology and Geophysics. 2001. V. 42 (5), 773–785. Brandt, I.S., Rasskazov, S.V., Ivanov, A.V., Brandt, S.B., 2002. Influence of distribution of radiogenic argon in minerals to determine the diffusion parameters. Geochemistry International. (1), 63–69. Logatchev, N.A., Brandt, I.S., Rasskazov, S.V., Ivanov, A.V., Brandt, S.B., Konev, A.A., Ilyasova, A.M., 2002. K–Ar dating of the Paleocene weathering crust in the Baikal region. Doklady Earth Sciences, V. 385A, (6), 648-650. Martynov, Yu.A., Chashchin, A.A., Rasskazov, S.V., Saranina, E.V., 2002. Late Miocene-Pliocene basaltic volcanism south of the Russian Far East as an indicator of the heterogeneity of the lithospheric mantle transition zone in the continent–ocean. Petrology. V. 10, (2), 189–209. Rasskazov, S.V., Bowring, S.A., Housh, T., Demonterova, E.I., Logatchev, N.A., Ivanov, A.V., Saranina, E.V., Maslovskaya, M.N. The Pb, Nd, and Sr isotope systematics in heterogeneous continental lithosphere above the convecting mantle domain. Doklady Earth Sciences. 2002. V. 387A (9), 1056–1059. Rasskazov, S.V., Ivanov, V.V., Khanchuk, A.I., Chashchin, A.A., Fefelov, N.N., Saranina, E.V., 2002. Isotopic heterogeneity of lead in galena from ore deposits in the Primor’e region. Doklady Earth Sciences. V. 387A, (9), 1083-1087. Rasskazov, S.V., Saranina, E.V., Demonterova, E.I., Maslovskaya, M.N., Ivanov, A.V., 2002. Mantle components in Late Cenozoic volcanics of the East Sayan (from Pb, Sr, and Nd isotopes). Geologiya i Geofizika. V. 43 (12), 1065–1079 (in Russian). Rasskazov, S.V., Saranina, E.V., Logachev, N.A., Ivanov, A.V., Demonterova, E.I., Maslovskaya, M.N., 2002. The DUPAL mantle anomaly of the Tuva-Mongolian massif and its paleogeodynamic implication. Doklady Earth Sciences. V. 382 (1), 44–48. Ivanov, A.V., Rasskazov, S.V., Maslovskaya, M.N., Demonterova, E.I. , Brandt, I.S., Brandt, S.B., Saranina, E.V., Markova, M.E., Koshkov Y.V., Pipich, A.V., 2003. Early Jurassic age and middle-late Jurassic tectonic unruffing of granitoid basement in the Amur-Zeya depression: Rb–Sr and K–Ar isotopic data. Tikhookeanskaya Geologiya. V. 22, (4), 83–92 (in Russian). Vladimirov, B.M., Logatchev, N.A., Weiner-Krotova, G.A., Lepin, V.S., Ivanov, A.V., Rasskazov, S.V., 2003. The Vendian-Cambrian boundary: Rb–Sr-isochron age of the final event of alkaline ultrabasic magmatism in the Northeastern Sayan region. Doklady Earth Sciences. V. 389A, (3), 346-349. Didenko, A.N., Kozakov, I.K., Bibikova, E.V., Vodovozov, V.Y., Hiltova, V.Y., Reznitsky, L.Z., Ivanov, A.V., Levitsky. V.I., Travin, A.V., Shevchenko, D.O., Rasskazov, S.V., 2003. Paleoproterozoic granites of the Sharyzhalgai block, Siberian Craton: paleomagnetism and geodynamic inferences. Doklady Earth Sciences. V. 390, (4), 510-515. Rasskazov, S.V., Logatchev, N.A., Ivanov, A.V., Boven, A.A., Maslovskaya, M.N., Saranina, E.V., Brandt, I.S., Brandt, S.B. A magmatic episode in the Western Rift of East Africa (19–17 Ma). Russian Geology and Geophysics. 2003. V. 44 (4), 307–314. Rasskazov, S.V., Logatchev, N.A., Kozhevnikov, V.M., Yanovskaya, T.B., 2003. Multistage dynamics of the upper mantle in Eastern Asia: Relationships between wandering volcanism and low-velocity anomalies. Doklady Earth Sciences. V. 390 (4), 492–496. Rasskazov, S.V., Maslovskaya, M.N., Skopintsev, V.G., Saranina, E.V., Ilyasova, A.M., Sizukh, Yu.I., 2003. Late Paleozoic subalkaline and rare-metal granitoids in the southeastern East Sayan: Geochemical signature and Rb–Sr isotope systematics. Russian Geology and Geophysics. V. 44 (11), 1093–1103. Rasskazov, S.V., Prikhodko, V.S., Saranina, E.V., Brandt, I.S., Brandt, S.B., Maslovskaya, M.N., Yasnygina, T.A., Semenova, V.G., Travin, A.V., 2003. Spatial-temporal variations of mantle and crustal components in late Cenozoic volcanic rocks from the Middle Amur basin, South-East Russia. Tikhookeanskaya Geologiya. V. 22, (3), 3–27 (in Russan). Rasskazov, S.V., Saranina, E.V., Martynov, Yu.A., Chashchin, A.A., Maksimov, S.O., Brandt, I.S., Brandt, S.B., Maslovskaya, M.N., Kovalenko, S.V., 2003. Evolution of Late Cenozoic magmatism at active continental margin of South Primorye. Tikhookeanskaya Geologiya. (1), 92–109 (in Russian). Brandt, S.B., Rasskazov, S.V., Brandt, I.S., Ivanov, A.V., 2004. The formal study of isochron construction in 40Ar/39Ar-geochronometry. Geochemistry International. (8), 835–842. Grudinin, M.I., Rasskazov, S.V., Kovalenko, S.N., Ilyasova, A.M., 2004. Early Paleozoic Snezhnaya gabbro-syenite intrusion in southwestern Baikal region (trace-element signature of crust/mantle mixing). Russian Geology and Geophysics. V. 45, (9), 1043–1152. Rasskazov, S.V., Yasnygina, T.A., Saranina, E.V., Maslovskaya, M.N., Fefelov, N.N., Brandt, S.B., Brandt, I.S., Kovalenko, S.V., Martynov, Yu.A., Popov, V.K., 2004. Middle-Late Cenozoic magmatism at the continental margin of the Japan Sea basin: pulse melting of the mantle and the crust of Southwest Primorye.Tikhookeanskaya Geologiya. V. 23, (6), 3–31 (in Russian). Rasskazov, S.V., Mel’nikov, O.A., Rybin, A.V., Gur’yanov, V.A., Yasnygina, T.A., Brandt, I.S., Brandt, S.B., Saranina, E.V., Maslovskaya, M.N., Fefelov, N.N., Zharov A.E., 2005. Spatial change of deep sources for Cenozoic volcanic rocks in western coast of South Sakhalin. Tikhookeanskaya Geologiya. 24 (2), 10–32 (in Russian). Zorin, Yu.A., Turutanov, E.H., Kozhevnikov, V.M., Rasskazov, S.V., Ivanov, A.V., 2006. Cenozoic upper mantle plumes in East Siberia and Central Mongolia and the subduction of the Pacific plate. Doklady Earth Sciences. V. 409 (5),723-726. Zorin, Yu.A., Turutanov, E.H., Kozhevnikov, V.M., Rasskazov, S.V., Ivanov, A.V., 2006. The nature of Cenozoic upper mantle plumes in East Siberia (Russia) and Central Mongolia. Russian Geology and Geophysics.V. 47, (10), 1046–1059. Martynov, Yu.A., Lee, D.W., Golozubov, V.V., Rasskazov, S.V., 2006. Geochemistry and features of the formation of Late Miocene basalts, south of the Korean Peninsula. Geochemistry International. (6), 597–609. Chernyaeva, G.P., Lyamina, N.A., Rasskazov, S.V. Rezanov, I.N., Savinova, V.V., 2007. Biostratigraphy and deposition environments of the Middle-Late Miocene volcanosedimentary section in the Dzhilinda basin, Western Transbaikalia. Russian Geology and Geophysics. V. 48, (4), 361–370. Yasnygina, T.A., Malykh, Yu.M., Rasskazov, S.V., Primina, S.P., Zemskaya, T.I., Khlystov, O.M., 2006. The ICP-MS determination of rare earths and other metals in Baikal oil: comparison with oils in Siberia and the Russian Far East. Doklady Earth Sciences. V. 411, (8), 1237-1243. Demonterova, E.I., Ivanov, A.V., Rasskazov, S.V., Markova, M.E., Yasnygina, T.A., Malykh, Yu.M., 2007. Lithospheric control of Late Cenozoic magmatism at the boundary of the Tuva-Mongolian massif (Hovsgol and Northern Mongolia). Petrology, V. 15, (1), 93–110. Rasskazov, S.V., 2007. Could carbonatite matter that was mobilized by alkali basaltic melts from exogenic carbonates be ascribed to carbonatites? DISCUSSION. Russian Journal of Pacific Geology. V.1 (4), 386-389. Rasskazov, S.V., Ilyasova, A.M., Konev, A.A., Yasnygina, T.A., Maslovskaya, M.N., Fefelov, N.N., Demonterova, E.I., Saranina, E.V., 2007. Geochemical evolution of the Zadoi alkaline-ultramafic massif, Cis-Sayan area, Southern Siberia. Geochemistry International. V. 45 (1), 1–14. Rasskazov, S.V., Simanenko, V.P., Malinovsky, A.I., Yasnygina T.A., 2007. Geochemical evolution of Late Eocene-Oligocene magmatism in the Schmidt Peninsula (Northern Sakhalin). Russian Geology and Geophysics. V. 48 (3), 247–256. Simanenko, V.P., Rasskazov, S.V., Yasnygina, T.A., Malinovsky, A.I., Chashchin, A.A., 2007. Early Cretaceous volcanic rocks and Early Cenozoic extrusions of Cape Mary, Schmidt Peninsula, North Sakhalin: Geochemical study. Russian Journal of Pacific Geology. V. 1 (3), 265–275. Chashchin, A.A., Martynov, Yu.A., Rasskazov, S.V., Maksimov, S.O., Brandt, I.S., Saranina, E.V., 2007. Isotopic and geochemical characteristics of the Late Miocene alkali basalt subalkalic and alkalic south of the Far East Russia as an indicator of the role of the continental lithosphere in their origin. Petrology. V. 15, (6), 620–644. Chuvashova, I.S., Rasskazov, S.V., Yasnygina, T.A., Saranina, E.V., Fefelov, N.N., 2007. Holocene volcanism in central Mongolia and northeast China: Asynchronous decompressional and fluid melting of the mantle. Journal of Volcanology and Seismology. V. 1 (6). P. 372–396. Rasskazov, S.V., Chuvashova, I.S., Yasnygina, T.A., Saranina, E.V., Fefelov, N.N., Brandt, I.S. & Brandt, S.B. (2008). – Slab-derived and above-slab Late Cenozoic melts from convergent boundary zones of Asia and East Hangay, Central Mongolia. – The Bulletin of Irkutsk State University (Izvestiya Irkutskogo Gosudarstvennogo Universiteta). Series “Earth Sciences”, 1, 129-149 (in Russian). Yasnygina, T.A., Rasskazov, S.V., 2008. Tetrad effect in rare earth element distribution patterns: evidence from the Paleozoic granitoids of the Oka Zone, Eastern Sayan. Geochemistry International. V. 46 (8), 814–825. Brandt, I.S., Rasskazov, S.V., Popov, V.K., Brandt, S.B., 2009. Potassic specifics of basalts from the Sinii Utes Depression: Geochemical correlations and problems of K-Ar dating (Southern Primorye region). Russian Journal of Pacific Geology. V. 3, (4), 374-387. Rasskazov, S.V., Brandt, S.B., 2009. Ore leads from the Gargan block and southern margin of the Siberian craton: conjugated Holmes–Houtermans – Concordia–Discordia models. – The Bulletin of Irkutsk State University (Izvestiya Irkutskogo Gosudarstvennogo Universiteta). Series “Earth Sciences”, 2(1), 127-143 (in Russian). Chuvashova, I.S., Rasskazov, S.V., Liu, J., Meng, F., Yasnygina, T.A., Fefelov, N.N. & Saranina, E.V. (2009). – Isotopically-enriched components in evolution of the Late Cenozoic potassic magmatism in Heilongjiang province, NE China. – The Bulletin of Irkutsk State University (Izvestiya Irkutskogo Gosudarstvennogo Universiteta). Series “Earth Sciences”, 2(2), 181-198 (in Russian). Oktyabrsky, R.A., Vladykin, N.V., Lennikov, A.M., Vrzhosek, A.A., Yasnygina, T.A., Rasskazov, S.V., Moskalenko, E., Velivetskaya, T.A., 2010. Chemical composition and geochemical features of the Koksharovka alkaline-ultramafic massif with carbonatites (Primorye). Geochemistry International. 2010. (6), 1–14. Rasskazov, S.V., Prikhod’ko, V.S., Yasnygina, T.A., Fefelov, N.N., Saranina, E.V., Voinova, I.P., Brandt, S.B. Mantle sources of the Cenozoic volcanic rocks of the Lake Kizi region on the eastern Sikhote Alin. Russian Journal of Pacific Geology. 2010. V. 4 (5), 441-458. Rasskazov, S.V., Sherman, S.I., Levi, K.G., Ruzhich, V.V., Kozhevnikov, V.M., Sankov, V.A., 2010. Academician N.A. Logatchev and his scientific school: contribution to the study of Cenozoic continental rifting. Geodynamics & Tectonophysics. V. 1, (3), 209–224. Rasskazov, S.V., Yasnygina, T.A., Fefelov, N.N., Saranina, E.V., 2010. Geochemical evolution of Middle-Late Cenozoic magmatism in the northern part of the Rio Grande Rift, Western United States. Russian Journal of Pacific Geology. V. 4 (1), 13–40. Sklyarov, E.V., Rasskazov, S.V., Yasnygina, T.A., 2010. Symposium in memory of Academician N.A. Logatchev "Cenozoic continental rifting». Geodynamics & Tectonophysics. V. 1, (3), 322–329. Chuvashova, I.S., Rasskazov, S.V. & Brandt, S.B. (2010). – Cyclic variations of potassium in Late Cenozoic lavas from Central Mongolia. – The Bulletin of Irkutsk State University (Izvestiya Irkutskogo Gosudarstvennogo Universiteta). Series “Earth Sciences”, 3(1), 159–176 (in Russian). Vysotskii, S.V., Budnitskii, S.Yu., Rasskazov, S.V., Ignat’ev, A.V., Velivetskaya, T.A., Karabtsov, A.A., 2011. Preservation of radiogenic argon in mantle micas in situ: dating of deep-seated inclusions from the Shavaryn-Tsaram paleovolcano, Mongolia. Doklady Earth Sciences. V. 440 (2), 1423–1426. Rasskazov, S.V., Chuvashova, I.S., Liu, Ya., Meng, F., Yasnygina, T.A., Fefelov, N.N., Saranina, E.V. Proportions of lithospheric and asthenospheric components in Late Cenozoic K and K–Na lavas in Heilongjiang Province, Northeastern China. Petrology. 2011. V. 19 (6), 568–600. Simanenko, V.P., Rasskazov, S.V., Yasnygina, T.A., Simanenko, L.F., Chashchin, A.A., 2011. Cretaceous complexes of the frontal zone of the Moneron-Samarga Island arc: Geochemical data on the basalts from the deep borehole on Moneron Island, the Sea of Japan. Russian Journal of Pacific Geology. V. 5 (1), 26–46. Rasskazov, S.V., 2012. The crossroad of geodynamics: hypothesis of lithospheric plates vs. hypothesis of mantle plumes. – The Bulletin of Irkutsk State University (Izvestiya Irkutskogo Gosudarstvennogo Universiteta). Series “Earth Sciences”, 5(1), 236-249 (in Russian). Chebykin, E.P., Sorokovikova, L.M., Tomberg, I.V., Vodneva, E.N., Rasskazov, S.V., Khodzher, T.V., Grachev, M.A., 2012. The current state of water in the Selenga river in the territory of Russia on major components and trace elements. Chemistry for sustainable development. V. 20, 613–631. Rasskazov, S.V., Yasnygina, T.A., Chuvashova, I.S., Mikheeva, E.A., Snopkov, S.V., 2013. The Kultuk Volcano: spatial-temporal change of magmatic sources at the western terminus of the South Baikal basin between 18 and 12 Ma. Geodynamics & Tectonophysics. V. 4, (2), 135–168. doi: 10.5800 / GT2013420095. Rasskazov, S.V., Primina, S.P., Yasnygina, T.A., Tveritinova, T.Yu., 2013. “Continental rifting, accompanied processes" Symposium dedicated to the memory of N.A. Logatchev and E.E. 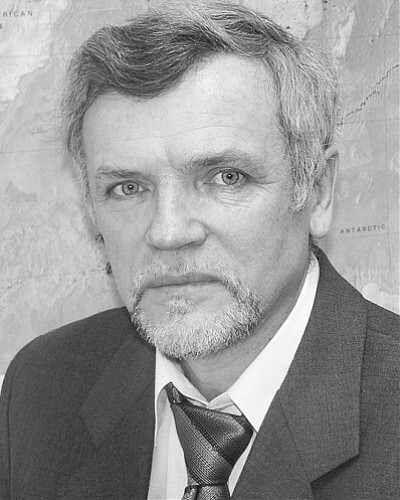 Milanovsky, ‘Academicians of rifting’, 20–23 August 2013, Irkutsk, Russia. Geodynamics & Tectonophysics. V. 4, (3), 363–369. doi: 10.5800 / GT2013430106. Rasskazov, S.V., Menshagin, Yu.V., Yasnygina, T.A., Ilyasova, A.M., Saranina, E.V., Skopintsev, V.G., 2013. The Hushagol polychronous massif: heterogeneous sources of Paleozoic alkali syenites and granites in Eastern Sayans, South Siberia. Lithosphere. (4), 88–109. Rasskazov, S.V., Chuvashova, I.S., 2013. Global and regional expressions of the latest geodynamic stage. Bulletin of Moscow Society of Naturalists, 88 (4), 21–35. Rasskazov, S.V., Levi, K.G., 2014. Periodization of recent and Late Pleistocene-Holocene geodynamic and paleoclimatic processes. Geodynamics & Tectonophysics. V. 5, (1), 81–100. doi: 10.5800 / GT2014510118. Rasskazov, S.V., Yasnygina, T.A., Chuvashova, I.S. Mantle sources of the Cenozoic volcanic rocks of East Asia: Derivatives of slabs, the sublithospheric convection, and the lithosphere. Russian Journal of Pacific Geology. 2014. V. 8 (5), 360-378. Rasskazov, S.V., Lyamina, N.A., Luzina, I.V., Chernyaeva, G.P., Chuvashova, I.S., Usoltseva, M.V., 2014. Sediments in the Tertiary Tankhoi field, South Baikal Basin: stratigraphy, correlation, and structural transformations in the Baikal region. Geodynamics & Tectonophysics. V. 5 (4), 993–1032. doi:10.5800/GT-2014-5-4-0165. Rasskazov, S.V., Chebykin, E.P., Chuvashova, I.S., Stepanova, O.N. & Vodneva, E.N. (2014). – Modern mantle activity in Central Asia in retrospection of 400 Ka inferred from U-Th-isotope systematics of volcanic rocks: control of mantle melting by growing and thawing glaciers. – The Bulletin of Irkutsk State University (Izvestiya Irkutskogo Gosudarstvennogo Universiteta). Series “Earth Sciences”, 8(2), 91-101 (in Russian). Seminsky, K.J., Rasskazov, S.V., Seminsky, A.K., Mikheeva, E.A., 2014. Radon in “nonradonic” groundwaters of the Baikal region: spatial and temporal variations. Doklady Earth Sciences. V. 457 (2), 991–996. Rasskazov, S.V., Chebykin, E.P., Ilyasova, A.M., Vodneva, E.N., Chuvashova, I.S., 2014. Identification of the current deformations of the crust in the Tunka Valley from displaying the Chalov-Cherdyntsev effect in groundwater. Vestnik of the Geography Chair VSGAO. V. 11 (4), 70–78. Rasskazov, S.V., Chuvashova, I.S., Mikolaichuk, A.V., Sobel, E.R., Yasnygina, T.A., Fefelov, N.N., Saranina, E.V. Lateral change of sources for the Cretaceous-Paleogene magmatism of the Tian Shan. Petrology. 2015. V. 23 (3), 281–308. Rasskazov, S.V., Chebykin, E.P., Ilyasova, A.M., Vodneva, E.N., Chuvashova, I.S., Bornyakov, S.A., Seminsky, A.K., Snopkov, S.V., Chechelnitsky, V.V., Gileva, N.A., 2015. Creating the Kultuk polygon for earthquake prediction: variations of (234U/238U) and 87Sr/86Sr in groundwater from active faults at the western shore of Lake Baikal. Geodynamics and Tectonophysics. 2015. T. 6 (4). Chebykin, E.P., Rasskazov, S.V., Vodneva, E.N., Ilyasova, A.M., Chuvashova, I.S., Bornyakov, S.A., Seminsky, A.K., Snopkov, S.V., 2015. First results of monitoring 234U/238U in water from active faults on the western coast of South Baikal. Doklady Earth Sciences. V. 460, (2), 142-145. Chuvashova I.S., Rasskazov, S.V., Yasnygina T.A., Fefelov N.N., Saranina E.V., Rudneva, N.A., 2015. Mid-Miocene sequences of high- and moderate-Mg volcanic rocks in Vitim Plateau, Southern Siberia: impact of a sub-lithospheric convective material on the lithosphere. Geodynamics & Tectonophysics 6 (1), 91–125. doi:10.5800/GT-2015-6-1-0174. Yasnygina, T.A., Markova, M.E., Rasskazov, S.V., Pakhomova, N.N., 2015. Determination of rare earth elements, Y, ZR, NB, HF, TA, Th in geological reference materials of the DV series by ICP-MS // Industrial Laboratory. Diagnostics of Materials. V. 81, (2), 10–20. Yasnygina, T.A., Rasskazov, S.V., Markova, M.E., Zharov, A.E., Malykh, Yu.M., Saranina, E.V., Fefelov, N.N. Trace elements and Sr isotopes in the crude oils from the Sakhalin offshore fields. Russian Journal of Pacific Geology. 2015. V. 9 (2), 109–119. Yasnygina, T.A., Rasskazov, S.V., Markova, M.E., 2015. Metals in crude oils from oil fields of the southern part of the Lena-Tunguska province. – The Bulletin of Irkutsk State University (Izvestiya Irkutskogo Gosudarstvennogo Universiteta). Series “Earth Sciences”, 14, 139-150 (in Russian). Chuvashova, I.S., Rasskazov, S.V., Yasnygina, T.A., Rudneva, N.A., 2016. Initiation and termination of late Cenozoic extension in the lithosphere at the margin of the Baikal Rift Zone: Change of sources for volcanism in the Vitim Plateau. Journal of Volcanology and Seismology. (in press).